The following are detailed specifications about the Modern LED Outdoor Wall Light in Black Finish. 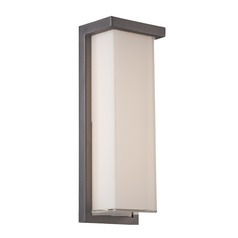 Adorn you modern home's outdoor walls with this modern LED light from WAC Lighting. 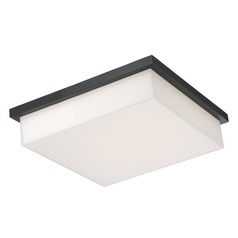 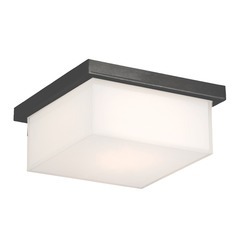 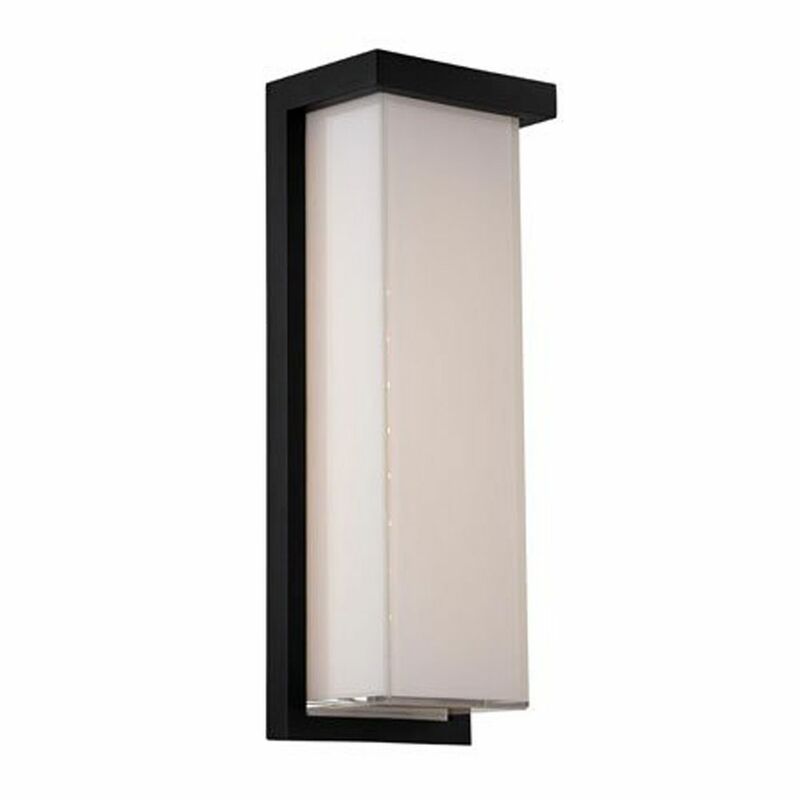 It features a rectangular lamp shade made of white glass and an aluminum frame coated with a black finish. 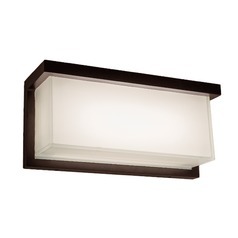 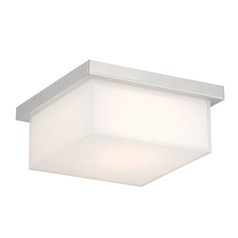 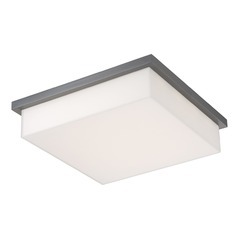 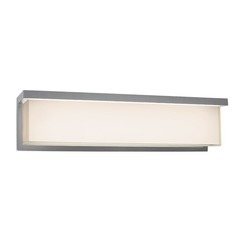 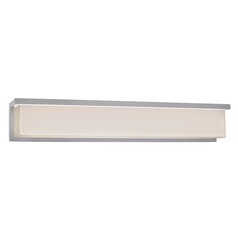 This fixture epitomizes the modern style; simple in design but still elegant. 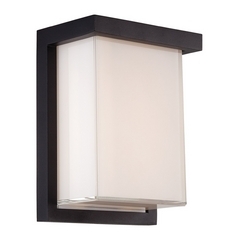 This modern LED outdoor wall light in black finish can be installed to walls via 5-inch by 14-inch backplate. 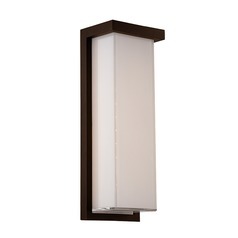 The fixture itself is 14-inches high and 5-inches wide. 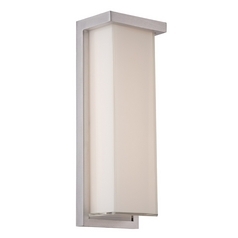 Its compact profile adds to the fixture's versatility. 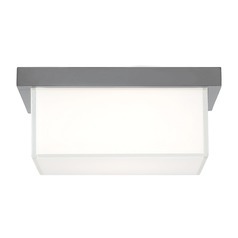 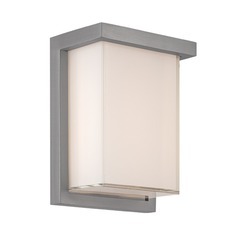 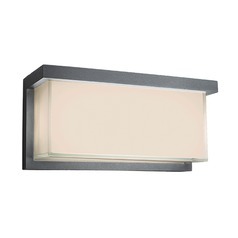 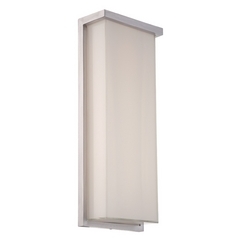 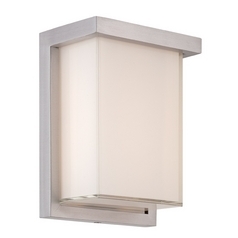 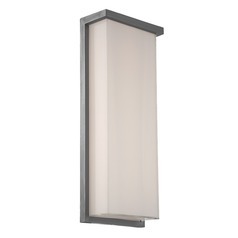 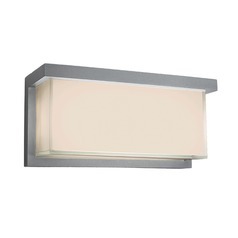 This modern LED outdoor wall light includes a built-in LED that's rated at a bright 1250 Lumens. 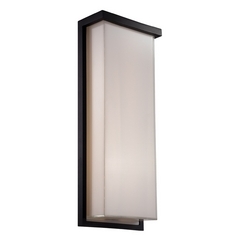 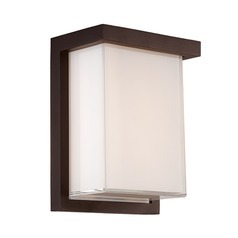 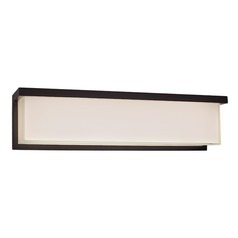 This Modern LED Outdoor Wall Light in Black Finish is part of the Ledge Collection from Modern Forms. 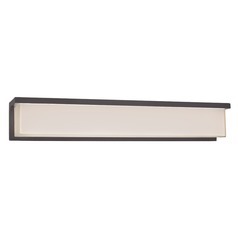 The following items are also part of the Ledge Collection.